The Supermarine Spitfire fighter is arguably the most famous combat aircraft of all time. During the Battle of Britain, though substantially out numbered by the RAF's other first line fighter, the Hawker Hurricane, the Spit was regarded by friend and foe alike as the most deadly plane in the skies. The Mark II version featured in this pilot's manual started to reach RAF squadrons in September, 1940, during the later part of the Battle and continued in service in 'cross Channel "Round Ups" until she was eventually replaced by the Spit V.
The Spit offered an outstanding combination of high performance, agility, stability, and relatively forgiving handling that made her a deadly weapon in the hands of aces like Douglas Bader and Johnnie Johnson. The most significant difference between the Mark "IIA" and "IIB" versions is that the latter replaced four of the eight .303 machine guns in the "IIA" with two 20mm canon to make it more effective against increasingly heavily armored Luftwaffe aircraft. Perhaps the most telling tribute to the soundness of RJ Mitchell's original elliptical wing design is the fact that the Spit went through more than 25 additional variants, suitable for an incredible range of tasks, including carrier operations, doubling in horsepower in later marks. 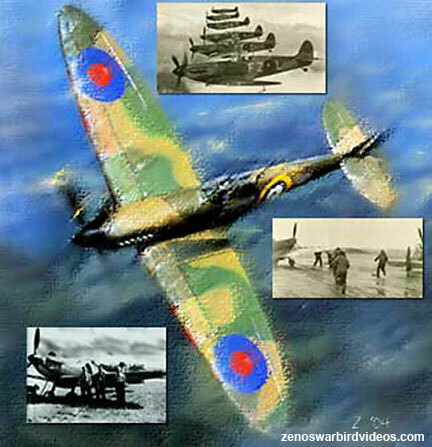 More than 20.000 Spitfires were produced and they remained in service until 1954. This pilot's manual gives a complete run down on Spit II cockpit layout, controls, system functions, and basic flight operations including takeoffs, landings, aerobatics, dives, spins & stalls, and performance statistics. Don't miss our Spit IX, XI, XVI manual too! 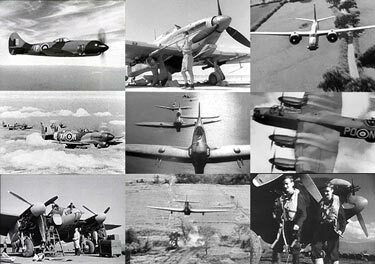 Return to our home page to see more World War II plane videos & pilot's manuals live on line.